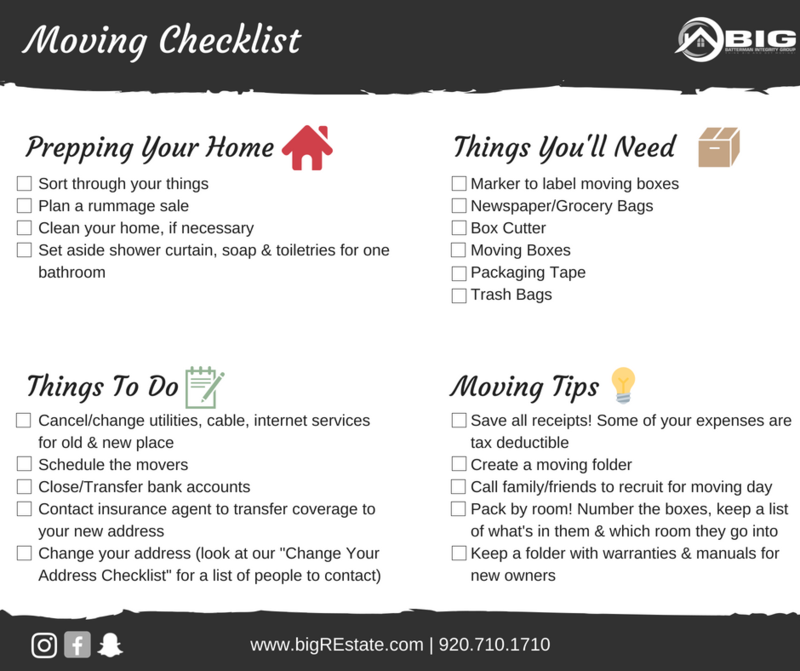 Moving can be a stressful time with all of the details to keep track of and schedules to keep on top of. One easy way to manage it all is to use a checklist. As with any major event there are things that can be done in advance, things that we get done as the moving date nears, and things that must get done on the actual moving day. Here is a checklist to get you started or download our FREE complete checklist. -Be realistic in the amount of time planned for the activities. -Take action on something every day, no matter how small, so that the overall project is not daunting. -Get everyone in the family involved. Many hands make for light work.